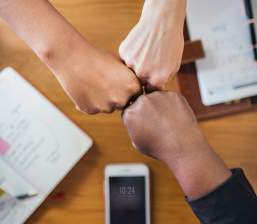 On April 5, 2019, the USCIS announced that the H-1B cap had been reached for fiscal year 2020. You can stay up-to-date with the latest news regarding H-1B visas, the waiting times in the Visa Bulletin and other immigration news by subscribing to our Free E-Mail Newsletter. The agency implemented a new merit-based process for selecting H-1B applicants for the lotteries which started on April 1, 2019 and ended on April 5, 2019. See below. To be eligible for H-1B status, you must (1) have a minimum of a four-year university degree or equivalent; (2) be paid at the “prevailing wage”; and (3) the job must typically require a minimum four-year university degree or equivalent. H-1B visas are subject to a numerical cap of 65,000 per fiscal year. In addition, 20,000 persons who obtain advanced degrees from universities in the U.S. have their own H-1B cap. Up to 6,800 H-1B visas are reserved for persons who are citizens of Chile and Singapore. H-1B visas are for foreign-born professionals with offers of employment in the U.S. Over the past 30 years, our law firm has obtained H-1B visas for thousands of accountants, architects, attorneys, business professionals, computer programmers, engineers, health care workers, physicians, researchers, system analysts and other professional employees. Cap-subject employers should prepare their H-1B petitions during February and March, and submit them so that the USCIS will receive the petitions at the beginning of April. Persons on whose behalf H-1B petitions are approved may start employment on October 1st. However, there are special rules for graduates working on Optional Practical Training (OPT) which enable them to continue working for their employers during the spring and summer and automatically change their status to H-1B on October 1st. Certain H-1Bs petitions are exempt from the numerical caps including employment “at” universities, at “affiliated” or “related” organizations or at non-profit or governmental research institutions. 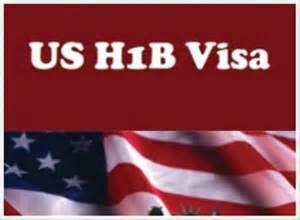 H-1B visas are typically valid for 3 years and can easily be extended for an additional 3 years. If a PERM application or an I-140 visa petition has been submitted in a timely fashion, post-6th year extensions of H-1B status are possible. We recommend that you extend your H-1B status until the day that you become a lawful permanent resident of the U.S.
Certain H-4 spouses of H-1B professionals are eligible to apply for work permits (EADs). We hope that the information listed below will help you to obtain an H-1B visa, or, if you are an employer, to understand how to sponsor foreign-born professionals for H-1B status.